The Go-Go’s – Our Lips Are Sealed – Official Music Video. 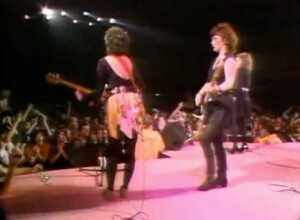 The band’s first single by The Go-Go’s, recorded as the opening track on the 1981 album Beauty and the Beat. It reached number 2 in Australia, #3 in Canada and #10 on the Billboard Hot Dance Club Songs Chart in the U.S.